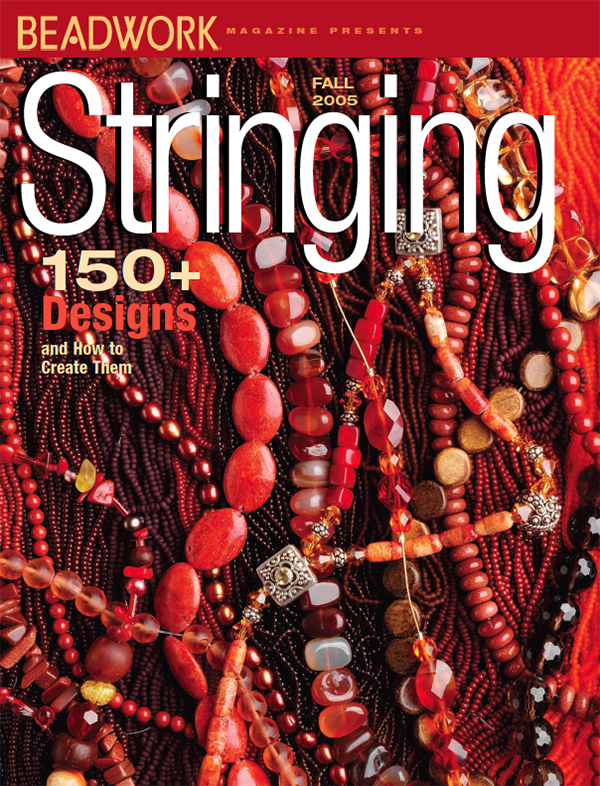 Jewelry Stringing Magazine – Beading and Jewelry-Making Fun! To celebrate the 10-year collection of Jewelry Stringing magazine, I asked editor Debbie Blair for some behind-the-scenes fun facts. Thanks for the info, Debbie! Jewelry Stringing started out as “Stringing,“ a special issue of Beadwork, with one special issue published in 2003 and one special issue published in 2004. Stringing then became its own frequency issue in 2005. The word “Jewelry” was added to the title with the Winter 2011 issue, so now it’s known to the world as “Jewelry Stringing”! The Jewelry Stringing 10-Year Collection includes the first 10 years of fabulous, easy-to-make necklace, bracelet, and earring designs—all issues from 2005 through 2014. That’s 35 issues in all, and over 3,500 projects! Through the years, our readers have loved the older issues because they are packed with an extensive number of designs in a wide range of styles. The designs in the newer issues often follow fashion or jewelry trends, are arranged by color palette, or are based on certain techniques. The more recent issues also include interesting and helpful columns and feature articles. All of the designs are very doable and very wearable and perfect for the beginner to intermediate beader. In fact, most are very beginner-friendly, so even if someone has never touched a bead before, it’s easy to jump right in! While the focus is on stringing and basic wireworking techniques, Jewelry Stringing also features an occasional mixed-media design (using resin, metal stamping, polymer clay, coloring metal/patinas, rivets, or upcycling) and even unique ways to incorporate fiber, cords, leather, and fringe. I hope you enjoy the compilation of 10-years’ worth of projects just as much as we have enjoyed looking back and putting this amazing collection together.